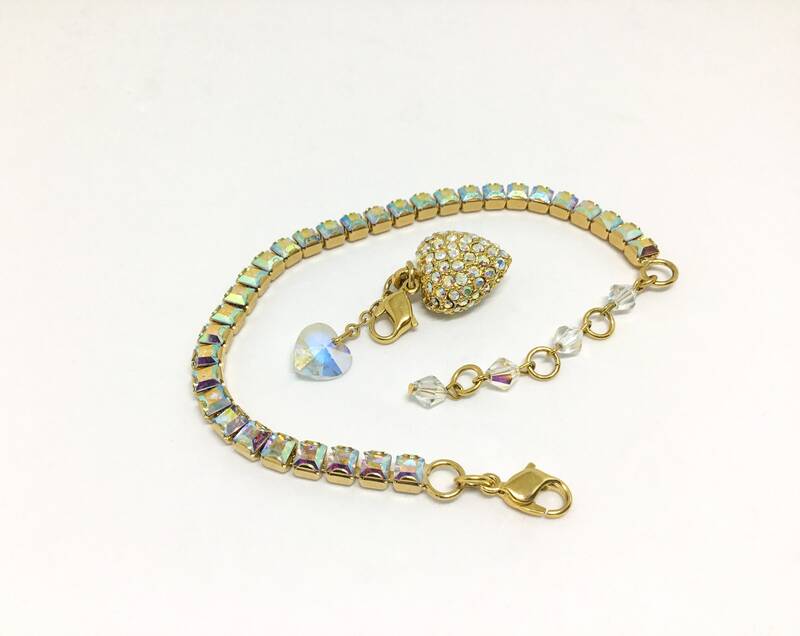 This is an amazing Kirks Folly signed Aurora Borealis bracelet with square cut rhinestones, and a two inch extender. 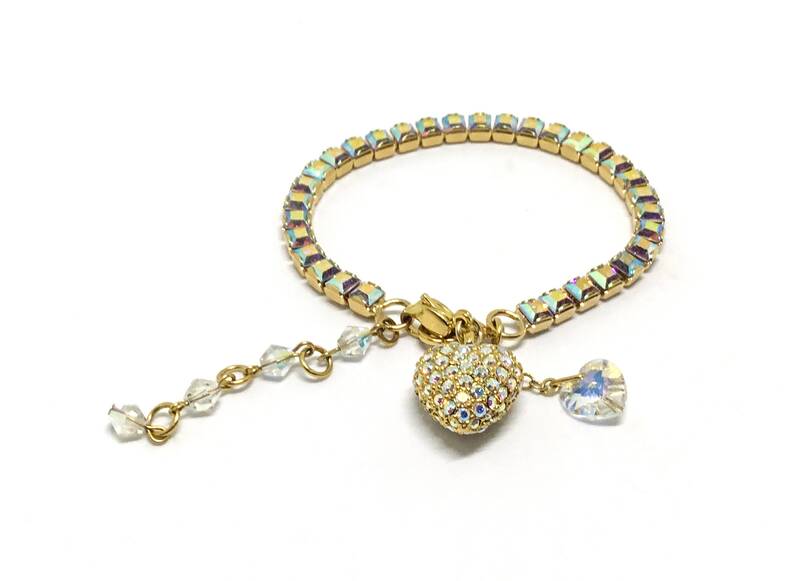 The sparkly rhinestones are faceted and are in goldtone cups. 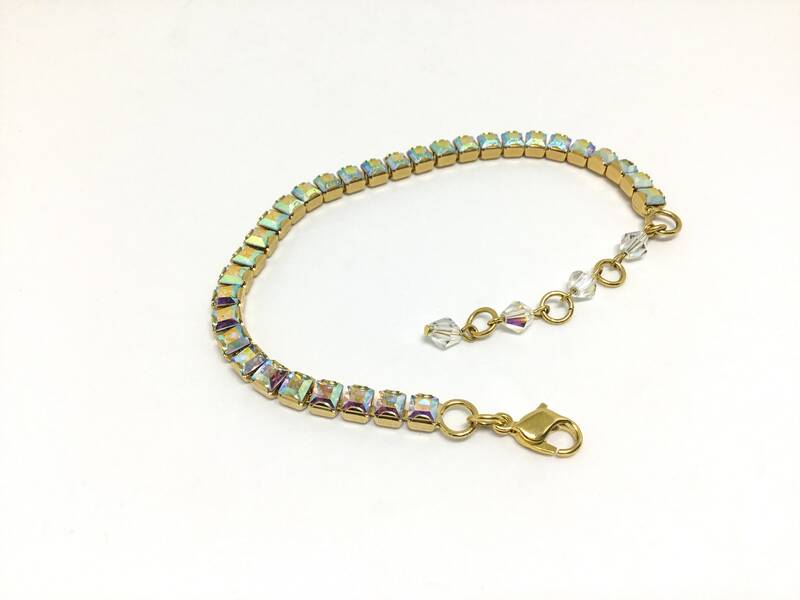 The closure is an alligator clasp. 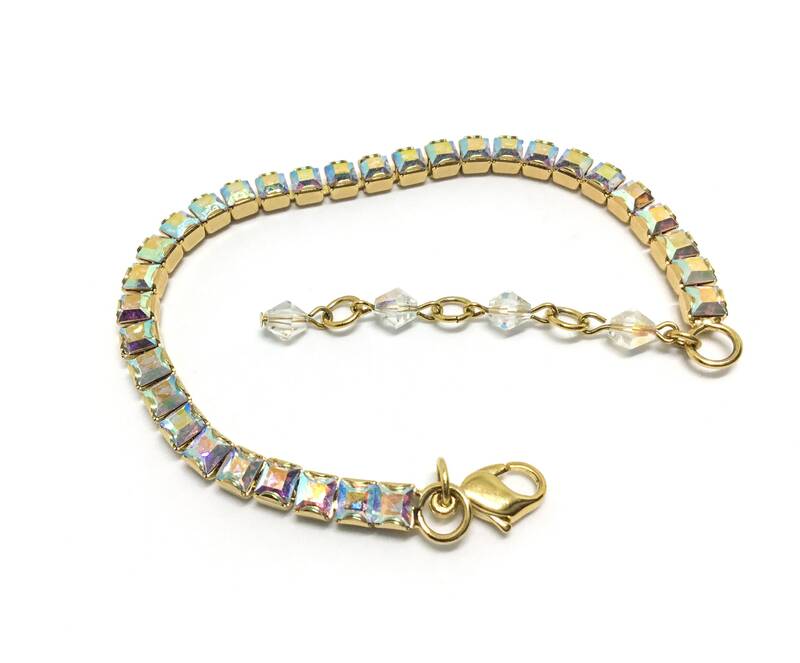 The extender alternates with goldtone links and AB beads. 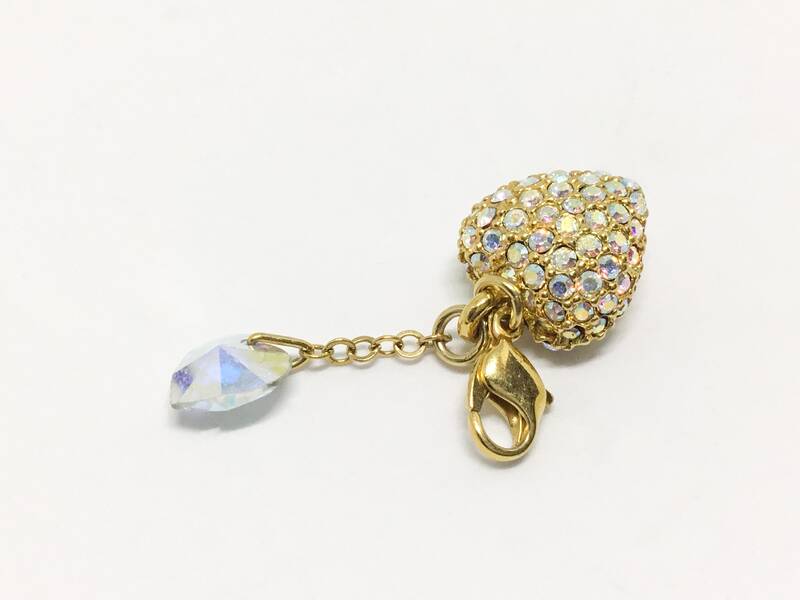 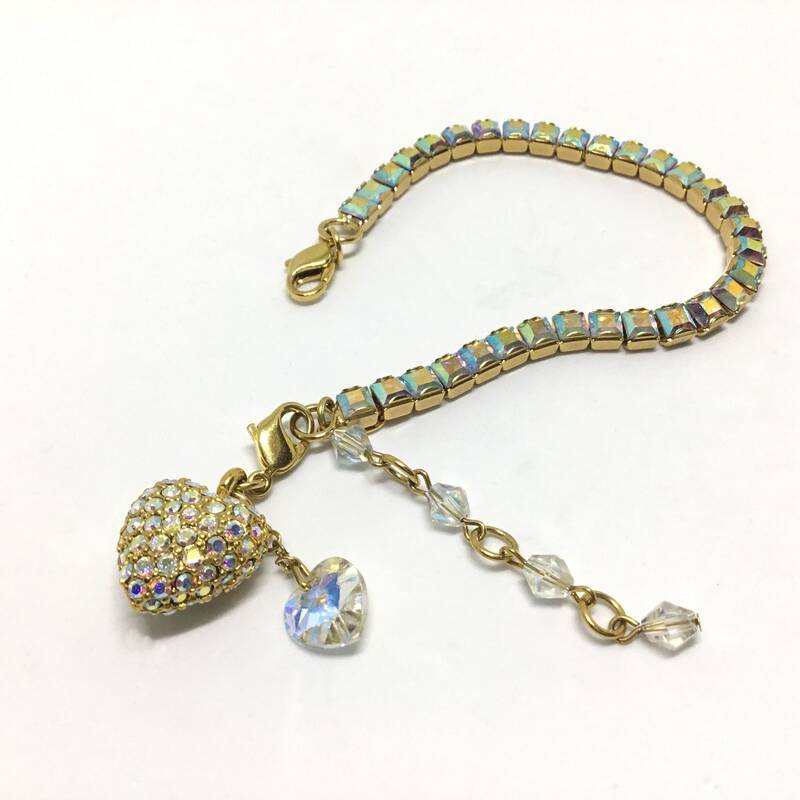 There is a large link at the end of the cups that has a wonderful surprise of a goldtone AB rhinestone puffy pave heart dangle along with a short fine chain holding an AB crystal heart dangle. 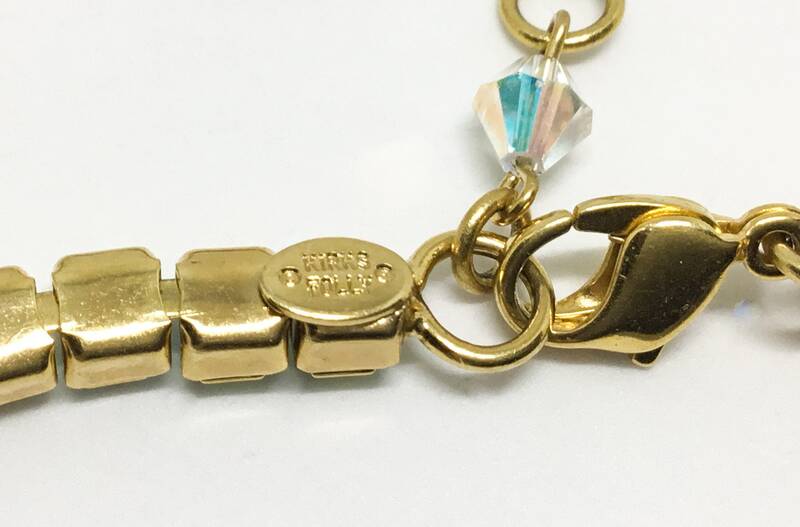 If you don’t prefer a dangle at your wrist the charm dangle has an alligator clasp to add it to a necklace. 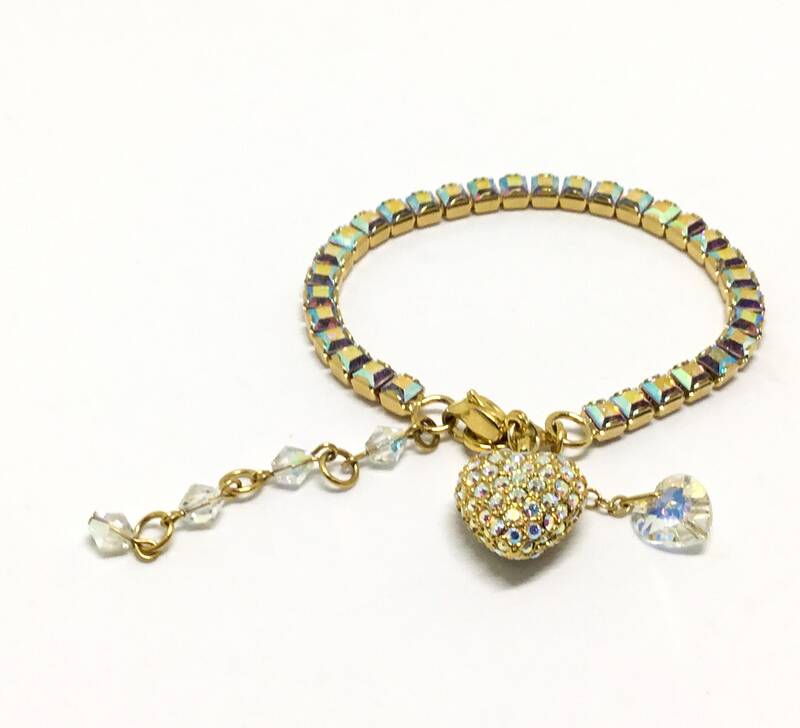 What a great gift for lovers of Kirks Folly jewelry with the added charm. 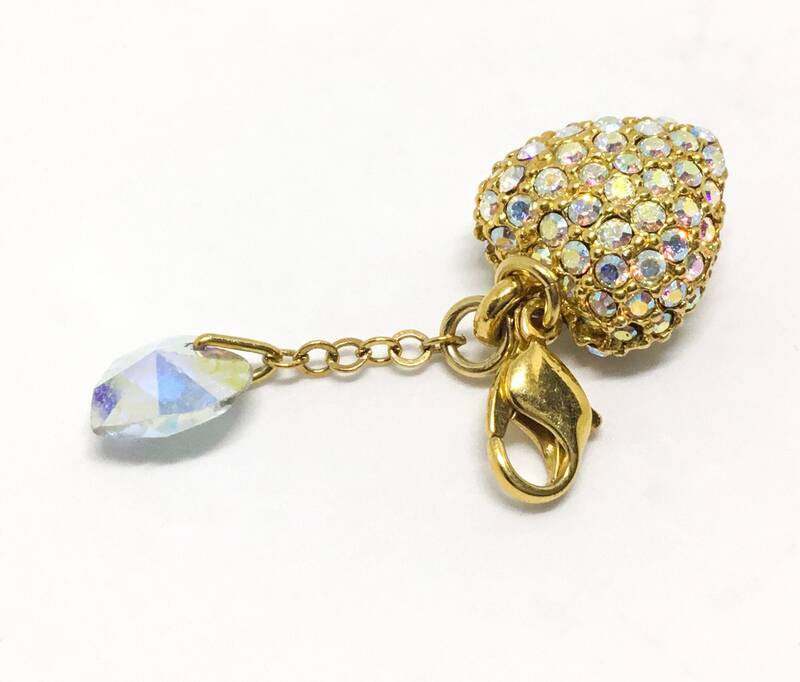 This piece of rhinestone jewelry is not only sparkly and glitzy but also whimsical and Boho....all great to brighten your day! 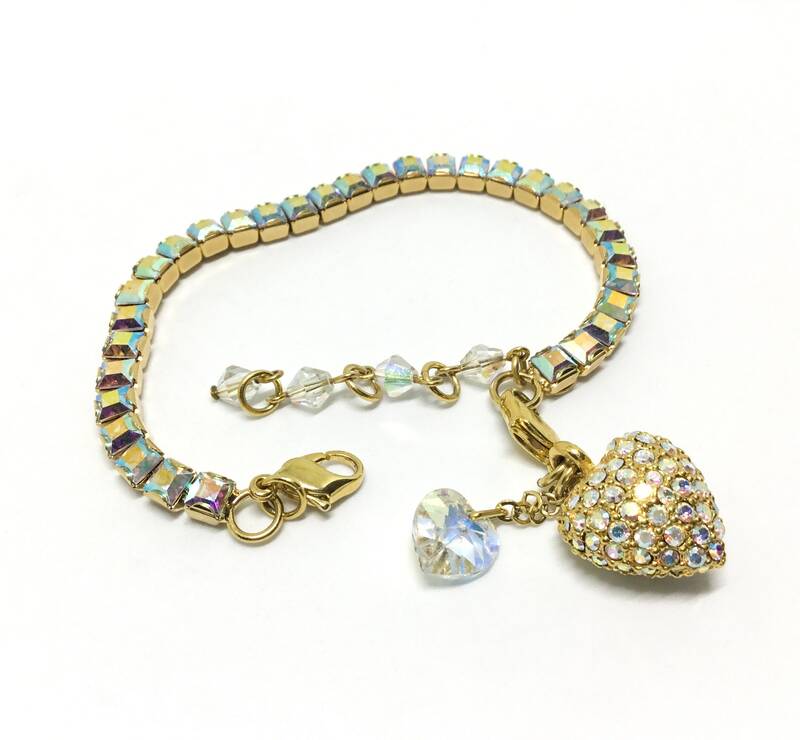 A great bracelet you will love to wear and look fantastic!